Situated in Zofingen, this hotel is within 6 mi (10 km) of Naturmuseum Olten, University of Applied Sciences and Arts Northwestern Switzerland, and Kunstmuseum Olten. Evangelical Reformed Church and Langenthal Deer Park are also within 12 mi (20 km). Zofingen Station is only a 3-minute walk. Located in the heart of Zofingen, this hotel is within 6 mi (10 km) of Naturmuseum Olten, University of Applied Sciences and Arts Northwestern Switzerland, and Kunstmuseum Olten. Evangelical Reformed Church and Langenthal Deer Park are also within 12 mi (20 km). Zofingen Station is only a 2-minute walk. Situated in Zofingen, this hotel is within 6 mi (10 km) of Naturmuseum Olten, University of Applied Sciences and Arts Northwestern Switzerland, and Kunstmuseum Olten. Evangelical Reformed Church and Langenthal Deer Park are also within 12 mi (20 km). Zofingen Station is only a 4-minute walk. 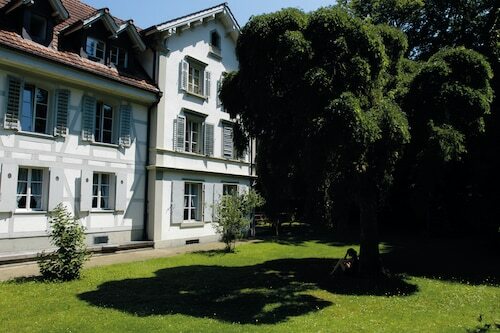 Situated in Zofingen, this hostel is within 6 mi (10 km) of Naturmuseum Olten, University of Applied Sciences and Arts Northwestern Switzerland, and Kunstmuseum Olten. Evangelical Reformed Church and Langenthal Deer Park are also within 12 mi (20 km). Zofingen Station is 7 minutes by foot. How Much is a Hotel Room in Zofingen? 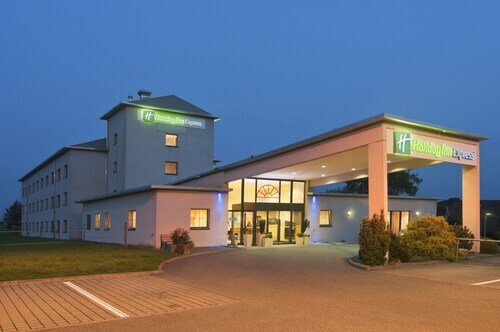 Hotels in Zofingen start at $91 per night. Prices and availability subject to change. Additional terms may apply. 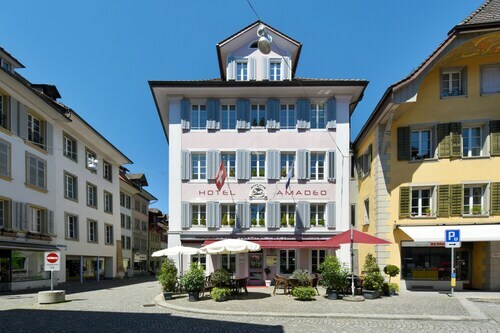 Are you vacationing in Aargau and looking to get interesting hotels in Zofingen? There are a variety of options waiting to be booked through Travelocity's reservations page. With 8 accommodation options on Travelocity within a 6-mile (10-kilometer) radius of Zofingen, it shouldn't be hard finding something suitable. Travelocity hotels that are within driving distance of Zofingen include the Hotel Arte and Hotel Olten Swiss Quality. The Bad Eptingen is 9 miles (15 kilometers) outside of the center of Zofingen. Another alternative is the Hotel Schützen, which can be found approximately 20 miles (32 kilometers) away. 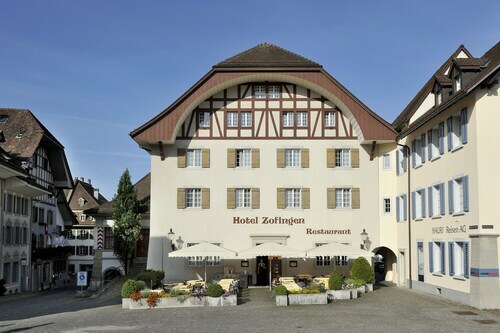 The Hotel Bienenberg along with the Engel Swiss Quality Hotel are two more Travelocity-listed options in Zofingen. Researching so you can move a little bit further afield? Northern Switzerland is home to many impressive attractions. Northern Switzerland is well known for its rivers and lakes, and common visitor places of interest are ruins, castles and traditional villages. Active visitors might also get involved in skiing and mountain biking here. Want more to do? Spend some time exploring Aarau Church and Naturama Aargau Museum, in Aarau, 8 miles (13 kilometers) to the northeast of Zofingen. When you want to stay in Aarau, be sure to check out the Hotel Baeren and Sorell Hotel Argovia. 19 miles (31 kilometers) northeast of Zofingen, you'll also find Baden, which is home to the Limmathof Baden Hotel & Spa and Blue City Hotel. If you come to Baden, you might like to visit the Baden Teddybear Museum and Grand Casino Baden. Ensure a fix of local sport with a voyage to Stade de Suisse Wankdorf, which you will find 30 miles (52 kilometers) to the southwest of Zofingen. Travelocity users that enjoy the idea of locating a room in the neighborhood, reserve a room in the Hotel Bellevue Palace or Hotel Schweizerhof Bern. For the modern traveler planning on flying via EuroAirport, you may plan to book a room at Airport Hotel Basel, or La Villa K & Spa, which are both a short trip away. We loved our stay at this beautiful hotel. The staff was very friendly and helpful. The room was clean and nice. The breakfast was yummy. Horses were just outside our window. It was perfect.